We have this week's menu planned for you. 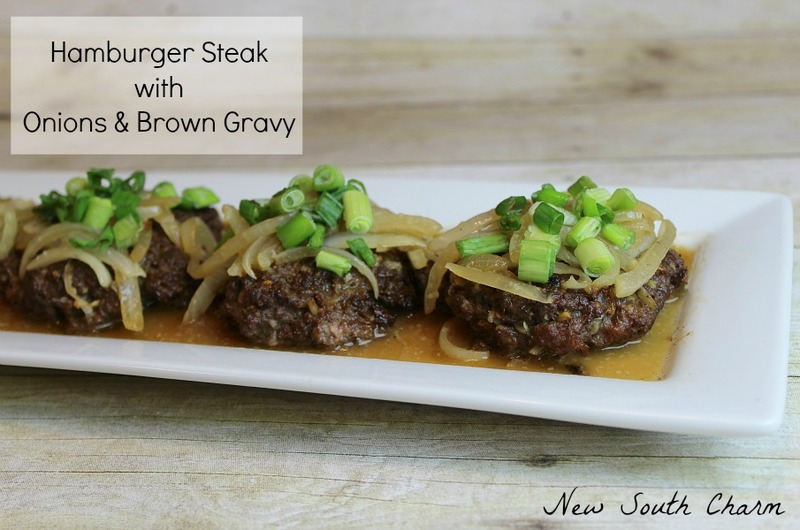 With 6 delicious dinner recipes and a fun sweet treat, all you have to do is make it! How has summer been treating you? It has me a bit worn out, but I'd still say it's been good so far. 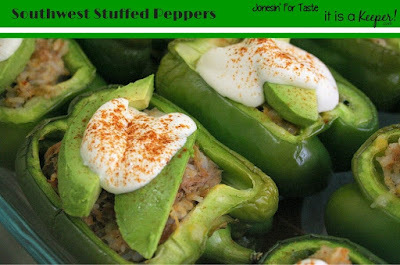 As the weather gets hotter though, I need that much more inspiration for dinners. I came home from the grocery store last weekend with about a hundred pounds of fresh fruit and not much that my husband would consider "dinner." Hehe! Somehow we survived anyway! 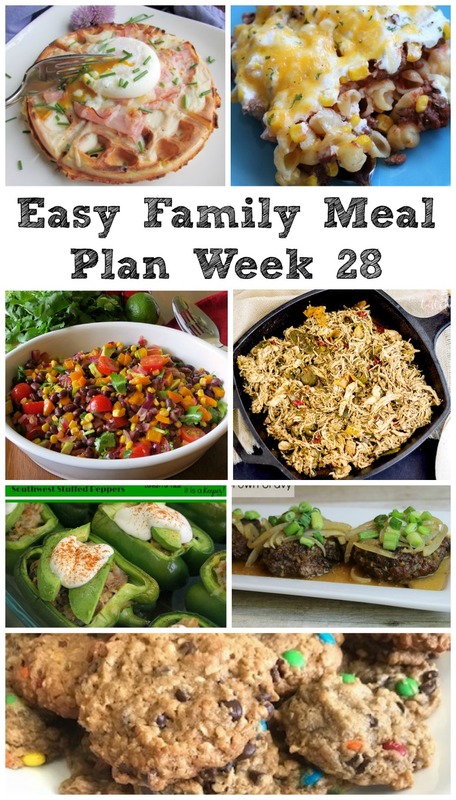 If you are like me and are needing a little extra inspiration for dinners right now, have I got some resources for you. First of all, we have this week's menu. It all looks delicious as always. 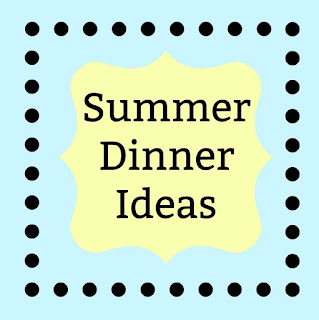 If you need a bit more than that, check out our summer dinner ideas with Celebrate365. If you are a blogger, feel free to drop some links. If you are not, feel free to peruse and pick up some good ideas! Tomorrow I will be sharing some picnic ideas with the tastemakers from Sunday Supper. I can't wait to see them all. There is bound to be plenty of great inspiration there. Then during the week I am going to be sharing some back to school ideas with some of my bestest blogging friends. So there is a lot to look forward too! But first, lets take a look at this week's menu. 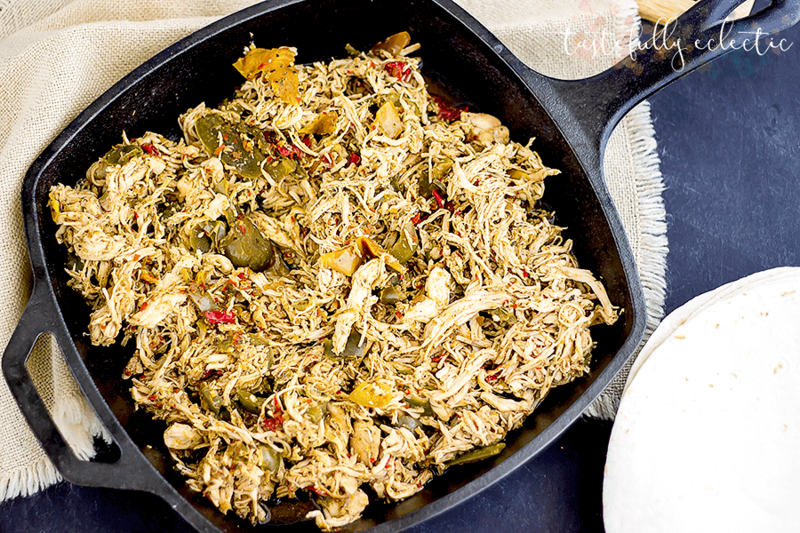 The easiest fajitas in a slow cooker? I'm game! I can't wait to give this gem from Tastefully Eclectic a try! 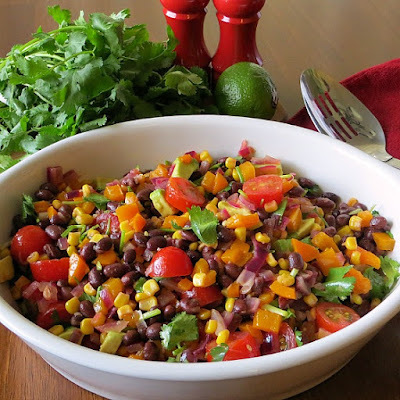 While we are making Tex-Mex, why not whip up some southwestern black bean salad from Joyful Homemaker? 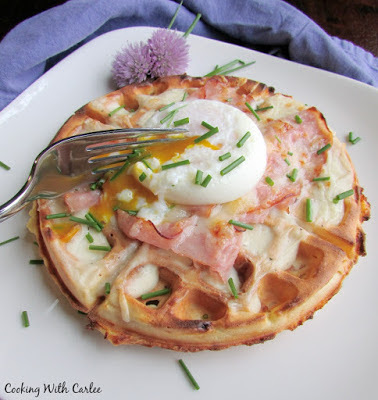 You know by now that I can always be talked into breakfast for dinner, but my husband sometimes needs some convincing. This cheddar croque madame waffle doesn't take much sweet talk, it's a perfect compromise! To make it up to him, I'll make these hamburger steaks with onions and brown gravy from New South Charm. We'll head back to the southwest with these stuffed peppers from Jonesin' for Taste. 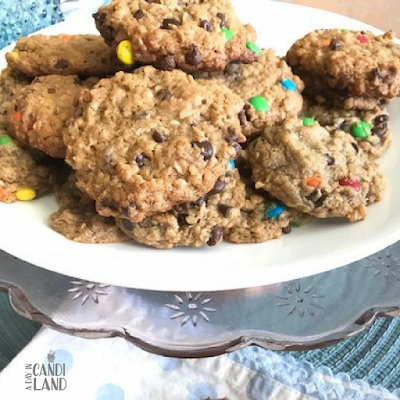 Then we'll treat ourselves with these gluten free monster cookies from A Day in Candiland as the week comes to a close. Wheeeeew, we made it! Have a great weekend everyone! Carlee, do you ever sleep? I totally get the thing about bringing all of that fresh fruit home from the grocery store and your husband not thinking that there is much for "dinner"; that is funny but I relate. Ha! I do enjoy my sleep. Though keeping up with the blog cuts into my 8 hours more frequently than I'd like to admit! It seems I do all my post writing past my bedtime and most of my social media scheduling a little too early in the morning. Oh well, it's fun anyway! I repeated my error this weekend and came home with a ton of fruit, but I did get some meat too so we should all be happy. I think I could live on fresh fruit (and an occasional cake!) all summer long without thinking twice. Everything looks delicious! The hamburger casserole bake sounds so easy! Doesn't that look and sound so good? Thanks, Ellen! I'm looking forward to trying the southwestern black beans salad 🥗. 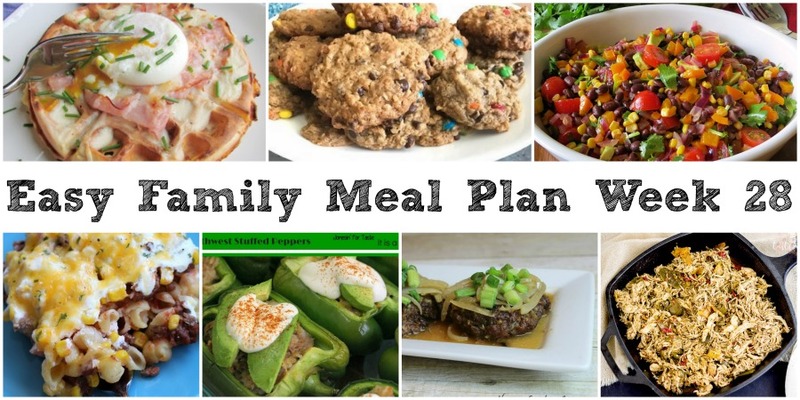 All of these recipes look so good! I really like these weekly menus. I love salads like that too, so I am excited to try it as well! I love all these ideas, Carlee. do the same thing at the store - over buy on produce. It all looks so good and I never really feel like eating when it's hot - so a salad or fruti or yogurt or something sounds good - but then there's the family, who expects a meal! Those Monster cookies always sound so good. Little dude and I could eat your menu all summer long as well, but my husband is a meat eater. It isn't dinner if there isn't meat! So I have to remind myself to pick up stuff for him at the store too ;-) Little man and I just get a bit sidetracked by all of the berries and peaches and we can't help ourselves!